Tim and Jessica needed a bigger home to raise their children. They had lived with family, then in public housing, but really wanted to get into a house that would allow them more privacy and room to grow their family. Tim worked for the exterminator company that serviced Clinch-Powell’s properties and learned that we had a house for rent in Jefferson City. The home was just what they were looking for: The right size, in a nice neighborhood and affordable. They moved in in February of 2016. A few months after they moved in, Tim’s co-worker told them how he had been able to buy a home through Clinch- Powell‘s Homeownership Made Easy program which uses federal HOME dollars to make purchasing a home affordable for qualified borrowers. 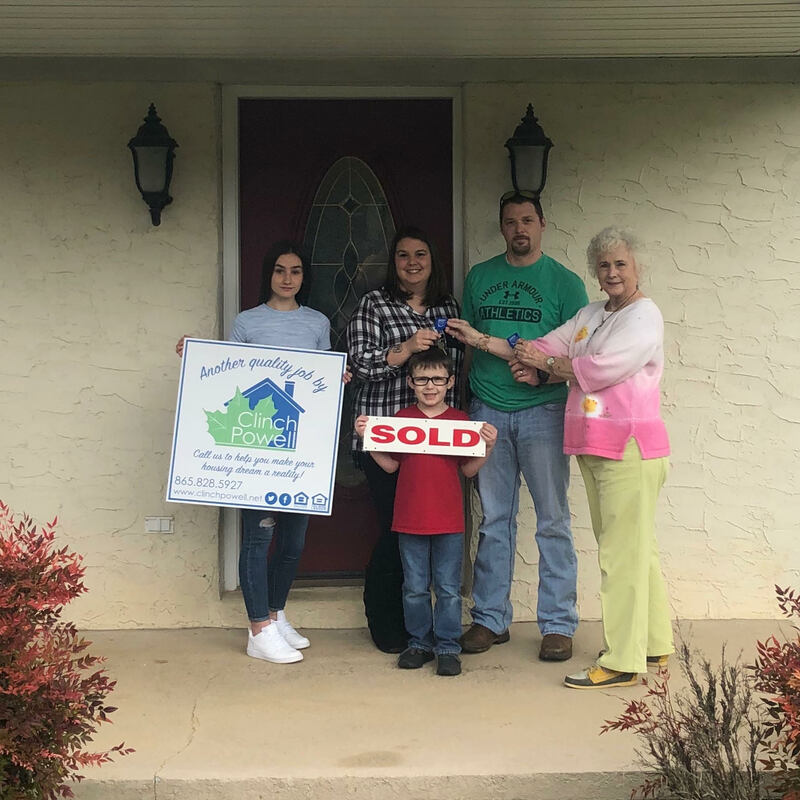 Tim and Jennifer decided they would love to own their own home and called Clinch-Powell to see what their next steps should be. Andrea, Clinch-Powell’s Loan Services Specialist, evaluated their situation and advised them that they would be great candidates for the program, but they would need to work on a few things first. Determined to become home owners, they began working with Suzie in Clinch-Powell’s pre-purchase coaching program. She created a plan of action with a goal of being homebuyer ready in 2 years. Fast forward to February of 2018. Tim was able to raise his credit score 119 point and the couple paid down over $12000.00 in debt! They began the home loan application process. Clinch-Powell found a great home to renovate to meet the family’s needs in a location that they loved. The home was updated and renovated making it energy efficient, and move in ready. Tim, Jennifer and their two children closed on their new home on Friday. Congratulations to the new homeowners!! Contact us today for more infomration on our homeownership programs.